*This post is sponsored by BSM media. All Opinions are my own. HOW FAST DID THE PAST YEAR FLY??? The Holiday season is HERE and we are excited to share another Holiday Gift Guide for Kids…ages 1 to 8 and up! PLUS…we are hosting another #MTBCholiday GIVEAWAY for one lucky winner! Details to enter below and bonus entries on my Instagram too! Even better is that this is a Holiday collab with one of my dearest You Tube friends that I have met several times IRL…in real life, Christine from TwilightChic143 or also known as ChristineCruz here on You Tube. Check out her video to see her Holiday Gift Guide for Beauty faves and be sure to subscribe and let her know I sent you if you haven’t already been subscribed! 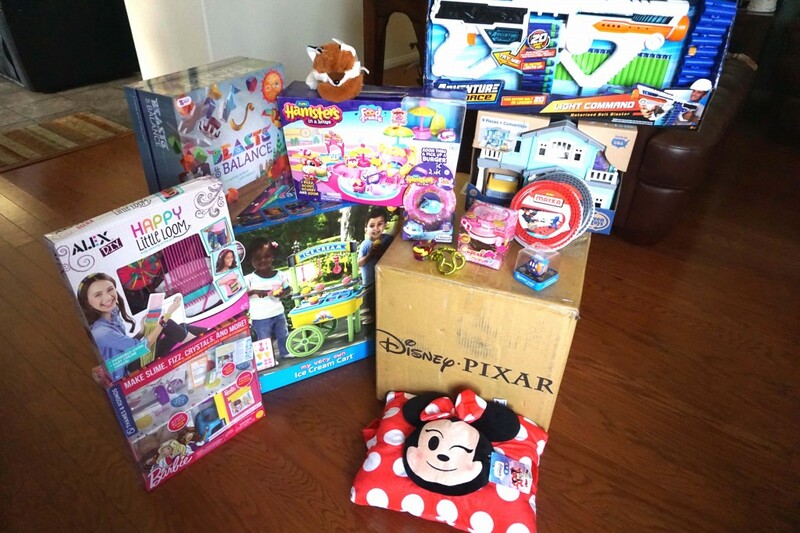 As you will see in the video, we grouped items for smaller kids, boys, girls and items for both boys and girls too! Hoping this gives you some ideas of other items to be on the look out for during your Black Friday or Cyber Monday shopping. I noted alternate places that you can find each item in the video. See below for a full list of what we shared and which items we are giving away! 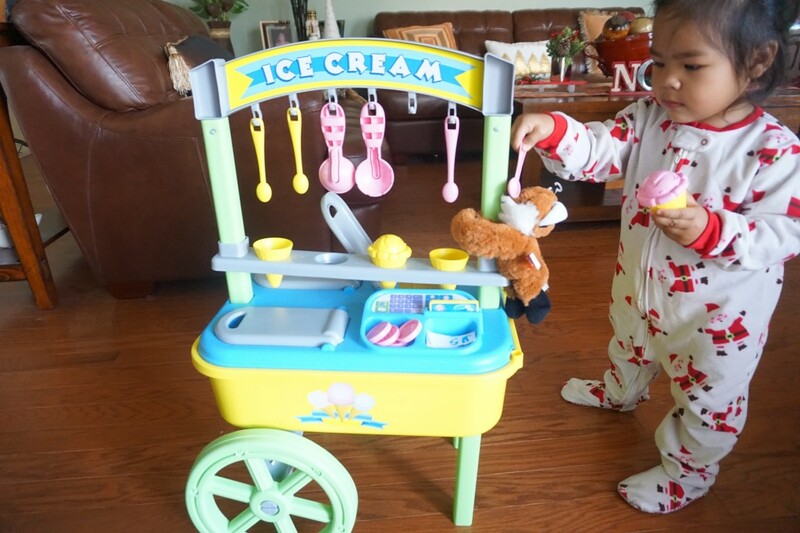 While we didn’t get to play with all the items on camera, the girls have already dug into the arts and crafts items since and here are a few of our ultimate faves…Colby has been obsessed with this My Very Own Ice Cream Cart and the girls have been loving the Zuru Hamsters in a House Food Frenzy. Get your hands on all of these amazing finds while you can! FOR US RESIDENTS. MUST BE 18+ OR HAVE PARENTAL CONSENT TO ENTER. 2. LEAVE A COMMENT ON MY BLOG TELLING ME WHICH ITEM YOU ARE EXCITED TO TRY THE MOST? 3. FOR EXTRA ENTRIES VISIT MY INSTAGRAM ACCOUNT AND FOLLOW RULES ON THIS PIC BELOW. GOOD LUCK, HAPPY SHOPPING & HAPPY HOLIDAYS! 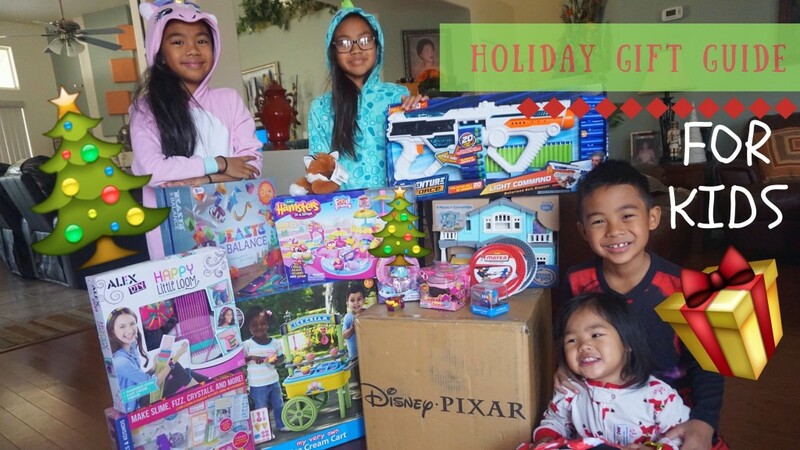 36 Responses to "BLACK FRIDAY SHOPPING & GIVEAWAY|HOLIDAY GIFT GUIDE FOR KIDS"
Love how the kids get so involved and explain all the great gift ideas! My nephew likes to solve puzzles so I am drawn to the either the Zuru cube or Zuru tangle! Nice review and youtube video! Thank you and Christine for doing this collab! We would love to try the zuru hamsters. Thank you so much for the chance. Excited for the hamsters, I think my girls would love it and entering for toys for my niece. Happy holidays Nicole! I love the ice cream cart so much. My girls and I would love to play with the zuru hamsters and the ice cream cart. Love all the ideas, I’m a mom of 3, age almost 3 boy, 5 year old boy, and an almost 7 year old girl. They would love all the the green house toy, the fidget toys, and the Lego tape. Hope to win something. Have you have a great holiday season. So fun! The Hamster in a House Food Frenzy, and Playhouse set look great for my kids! Thanks for sharing! I’d love the ice cream truck for my boys! Delano yells i crem every time he wants some!! Please enter me in this giveaway! Love your channel I have three little boys so they would love the boy toys the bike seem so cool! I am most excited to try the greentoys house playset. I would be excited to try the cupcake surprise with my daughter. Hi Nicole!! I am most excited about the ZURU Tangle! Before watching the video you posted recently with your sweet kids, I had never heard of them before! I knew instantly that my three babes would have oodles of fun playing with them…and let’s be real…mom and dad will probably end up loving them too! Ha! I’m excited to try the GREEN TOYS HOUSE PLAYSET for my niece, I think she would love it. 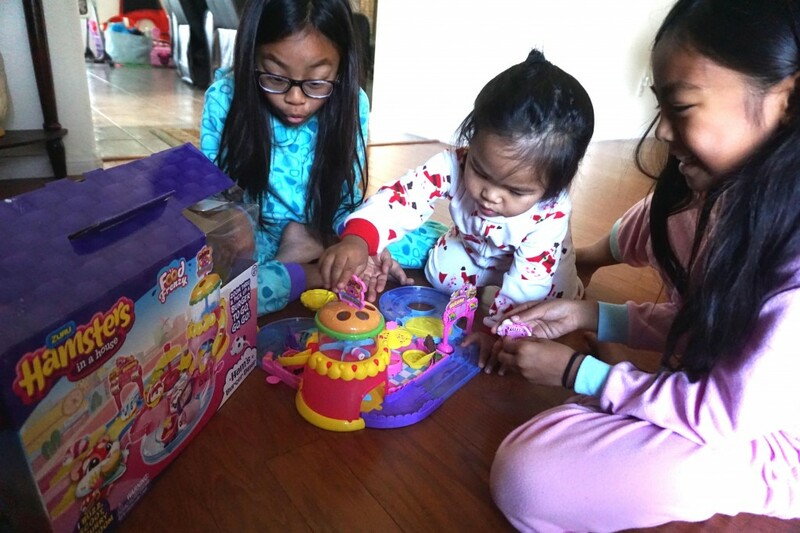 My girls would love the Barbie Chemustry set and Cupcake Surprise. Thank you and many Blessings to you and your family! My daughter would love the green house playset. I am most excited to try the Hamsters in a frenzy toy! My boys would love the block tape I’m sure of it!! I have never entered in a giveaway like this, amazing toys! My 7yr old son LOVES fidget anything!! My daughter would love the Alex DIY! She is 4 and has really been loving crafts!! Exciting giveaway!! My boys would love any of these, especially the Lightening McQueen! I have read your content already and I am so satisfied with your thought. I have lots of good ideas and good content on my side. You are so invited to have short look on my side.